“Started my new internship yesterday. So far so good. I work at a small indie label with a rather entertaining name. They focus on electro, hip-hop, dub step music and have a lot of DJs signed to their label. The boss man is a really cool guy. Really busy, too. His phone was just a’ringin off the hook. Legit from 10:30am-5pm. Like wow. Seriously seems like he has his hands in a bit of everything. Nice people in the office. Located in a busier part of London, which I don’t care for too much, but ehh — I can deal. I hate large amounts of people in one area. Looks gross. Feels gross. Not to mention the constant rudeness. “Excuse me” is a lost art. TopShop is right outside the front door of the building. Temptation. Today I had class outside of the classroom. Apart from waking up at the crack of dawn (8am is crack of dawn for me lol), the trip was pretty dope! 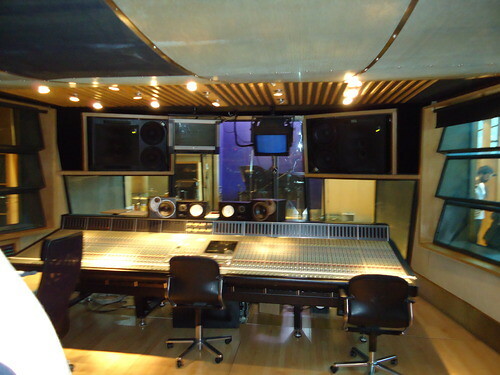 We went to The Power House studio which is one of the biggest independent studios in London that caters to big huge name acts like Rihanna, Jay Z, Timbaland, Amy Winehouse and many more. My favorite fun fact is that some of Lauryn Hill’s Miseducation album was mixed and mastered there. EPIC. “Lauryn was here”, literally all I kept thinking. Aesthetically beautiful studio set in an old power house. The main room is said to cost about 1200 pounds, if I remember correctly. I’d love to record there someday. Apparently all you have to do is be really nice to work there? According to the head engineer, they just look for really nice people that other people want to be around. Vibes. Ppl can read vibes, I tell ya. Got out of class around 12 and made some pizza for lunch. Yum! Then I went to the Tate museum with Jeff. EPIC. Lots of modern art. Some I got. Some I questioned why it was art, but I guess that’s not for me to do. 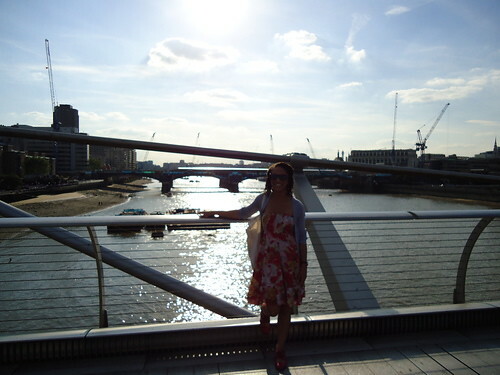 To find out more about the London Program, visit the Office of Experiential Learning here.